How to download a PDF file? Click on the lecture you’re interested in. You will be redirected to dropbox.com. Look at the top right of the page and click on the « Download » button. 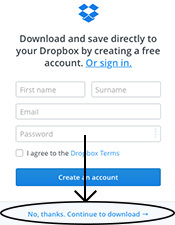 If a window appears, click on « Continue to download ». If you have a problem please contact us to [email protected]. By changing nothing, we hang to what we understand, even if it is the bars of our own jail.